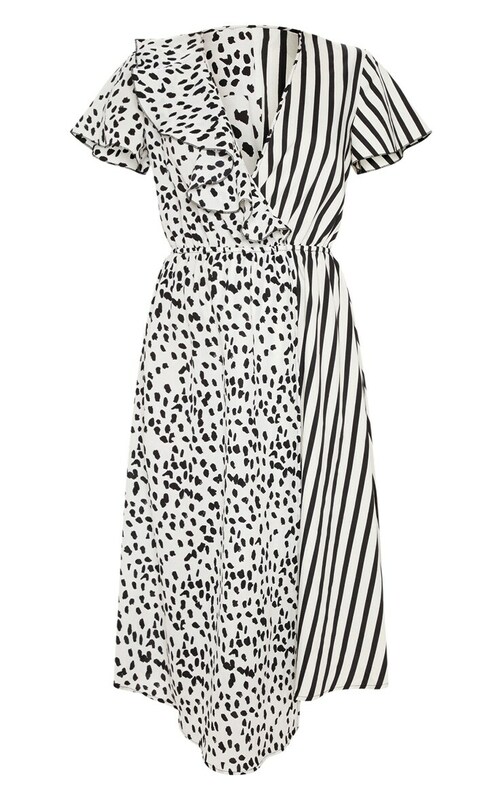 Girl we are loving prints this season and we are obsessing over this midi dress. Featuring a white material with a mixed print design and a cinching elasticated waistband. Team this dress with strappy heels and some statement earrings.